I love Arturo Sandoval, I really don’t know whether or not he came up with the Tunisia Blues – which is a blues break in A Night in Tunisia. 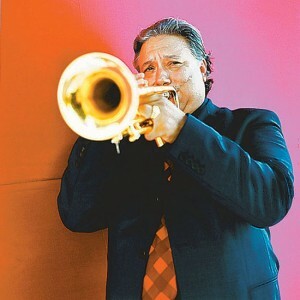 Click the red play button to listen to Arturo Sandoval’s great trumpet performance, lots of great licks to steal in the video. One of the main reasons I wanted to share this Jazz trumpet video with you is because there are some really great close ups of how Arturo Sandoval handles the trumpet while doing some really intense soloing. If you look closely, you can see how Arturo Sandoval switches back and forth between flat trumpet fingerings and curled trumpet fingerings. I’m not a 100% sure on how this helps his trumpet technique, but it obviously must be doing something for him. Woah, that was awesome! I don’t get what the switch stance fingerings does, but it apparently definitely helps with his mojo. That’s a killer solo!